Have you ever wondered in your wildest dreams there could be some connection between Winston Churchill and Whitefield in Bangalore? If you don’t know, here is the history of Whitefield (As per Wiki). On 27 April 1882, His Highness, Chamaraja Wodeyar IX, the Maharaja of Mysore, granted 3,900 acres (16 km2) of land to the Eurasian and Anglo-Indian Association, Mysore and Coorg (E&AI) for the founding of agricultural settlements at Whitefield (then Mysore state). The connotation was then about 170 strong with a board of 30 members. They were part of the development of the only settlement in India that European and Eurasians could call their own. David Emmanuel Starkenburgh White, the then president of the E&AI Association, South India Ltd., took a lively interest in it and helped in its advancement which at the beginning was very uphill work. So, Winston Churchill used to be paid visitor to Whitefield and Also, One of the residences, which was once Waverly Inn, where Winston Churchill stayed. You might be wondering why I am talking about Whitefield, Winston Churchill, and Blah blah blah! 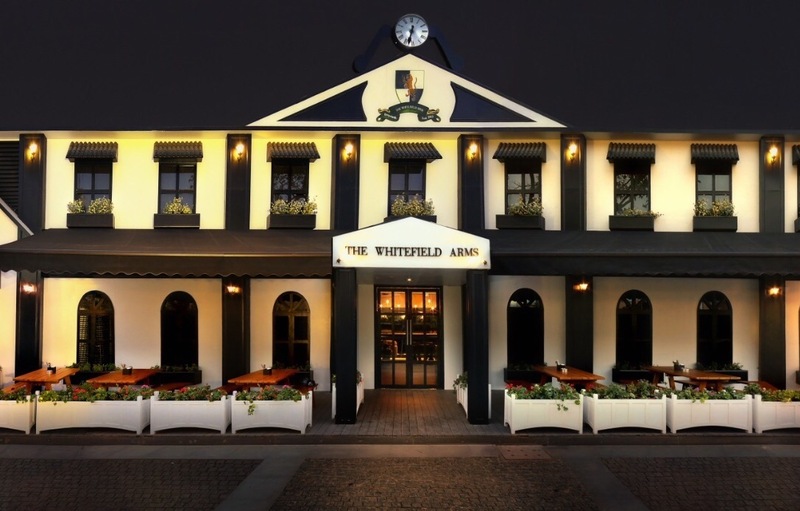 Well, I would like to share my experience of my visit to “The Whitefield Arms” – One of the newly opened British themed pubs in Whitefield which showcases the initial era of Whitefield. 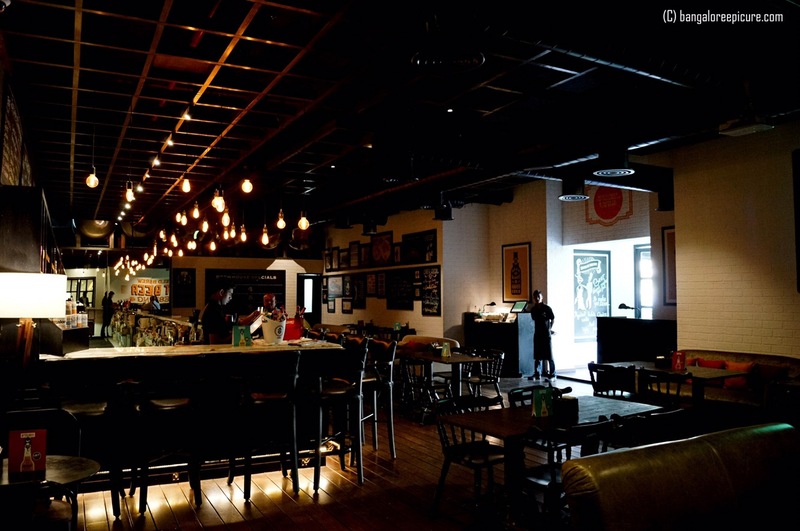 The place has eye catching décor with black & white tiles, bar stools, sofa booths and wooden picnic benches outside. Also, the place has Winston Churchill quotes in every possible space. 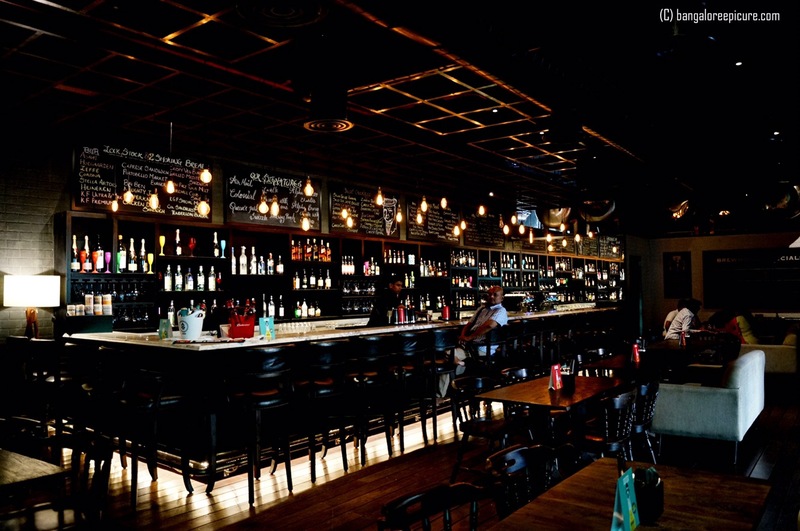 The huge bar counter is certainly surprise with fully loaded racks of liquor and ceiling filament lights. The Whitefield arms is located at luxurious VR Mall in Whitefield and precisely in “The Waverly” section with dedicated entrance. 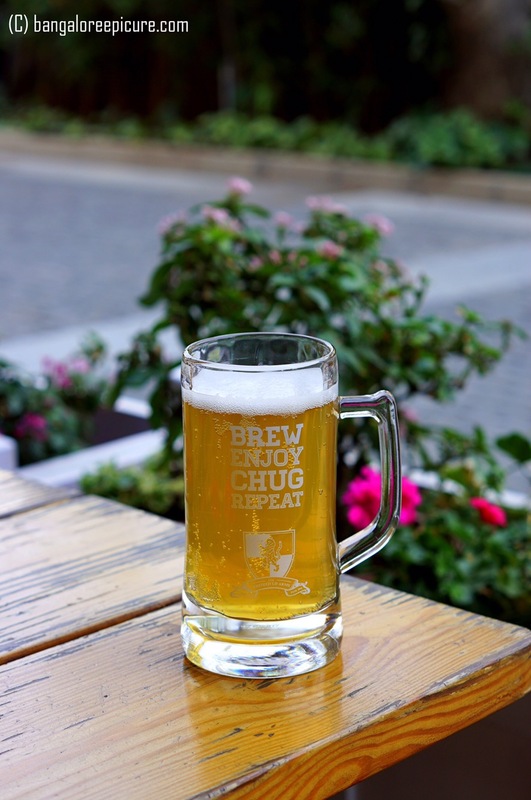 It is a living history pub with colonial themed wooden furniture and outdoor seating makes it the perfect place to catch up with friends and colleagues. 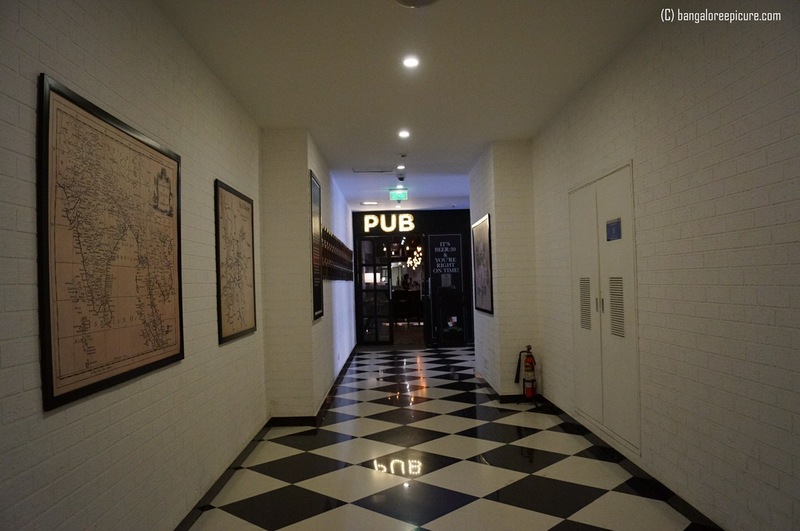 The Whitefield Arms has 2 entrances; one is from inside VR Mall and other one at the main entrance. If you visit from Mall Entrance, don’t miss to see and click pictures of Vintage Bangalore Maps and 64 framed names. The 64 names epitomize the house names which British built in Whitefield. 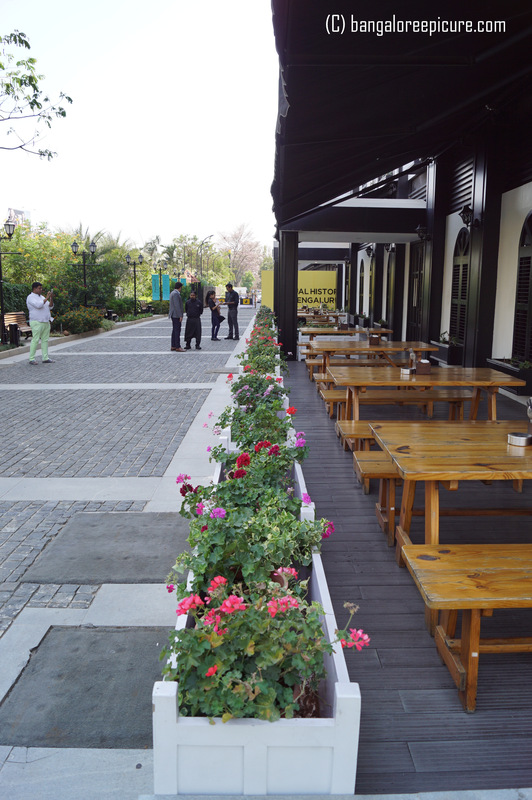 Looking at the Outdoor picnic tables, one will definitely go to dine here. Since, it was afternoon and temperature was too high, we were just thinking to spend some time outside and go back after some time. But, believe me you don’t even get a feel hot inside the restaurant. I have been told that it was strategically built and there is so much of gap between 2 buildings for the airflow. Also, there are few trees and plants to give a natural effect. 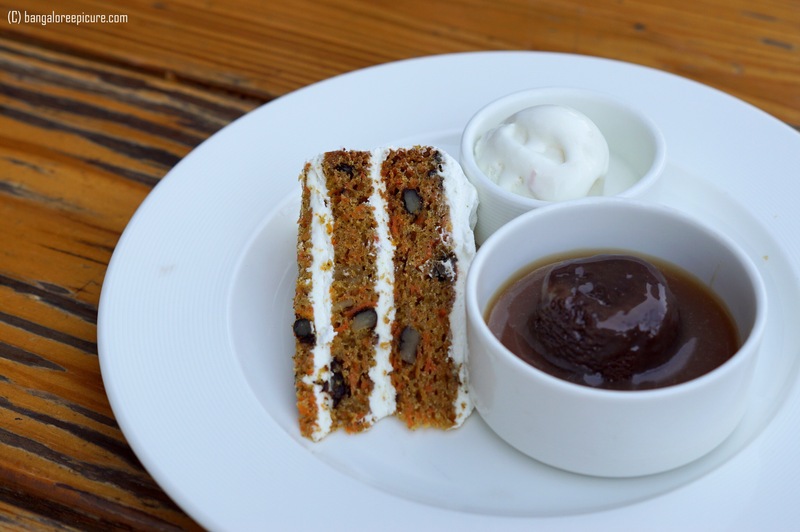 The food at “Whitefield Arms” is more like a British with a strong Indian twist. 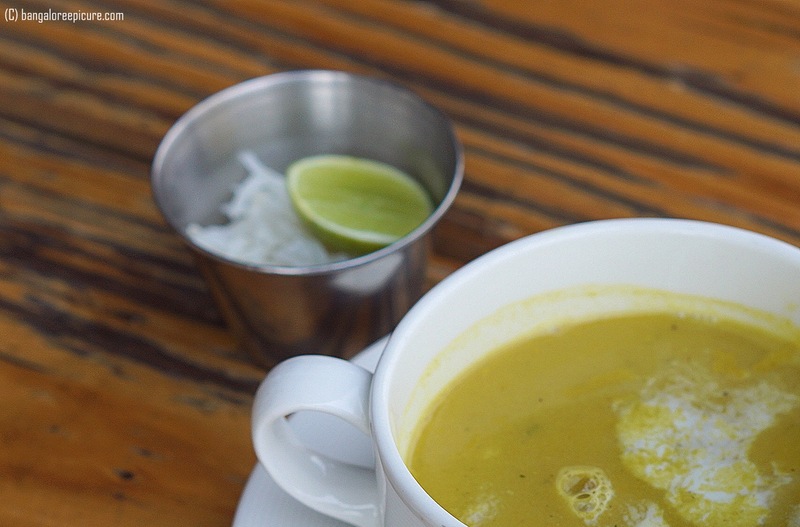 Our lunch started with Mulligatawny Soup served with long grain rice and lemon wedge. It’s more like Madras pepper rasam but slightly thicker. The soup has a pretty decent texture and tasted divine. I ordered this soup based on their advice. 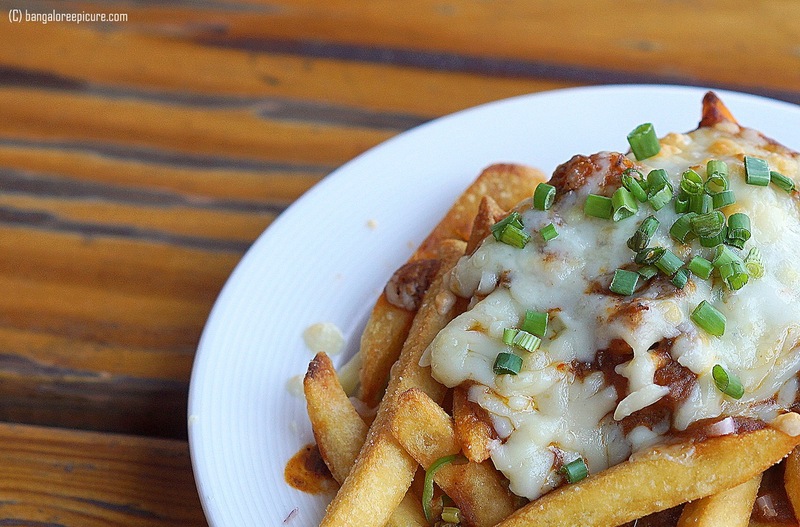 TWA Chips, Cheese and Gravy is a classic starter to go well with Beer especially. The dish made out of French fries topped with Dal Makhni, cheese, jalapenos, chopped onions and green chilies. 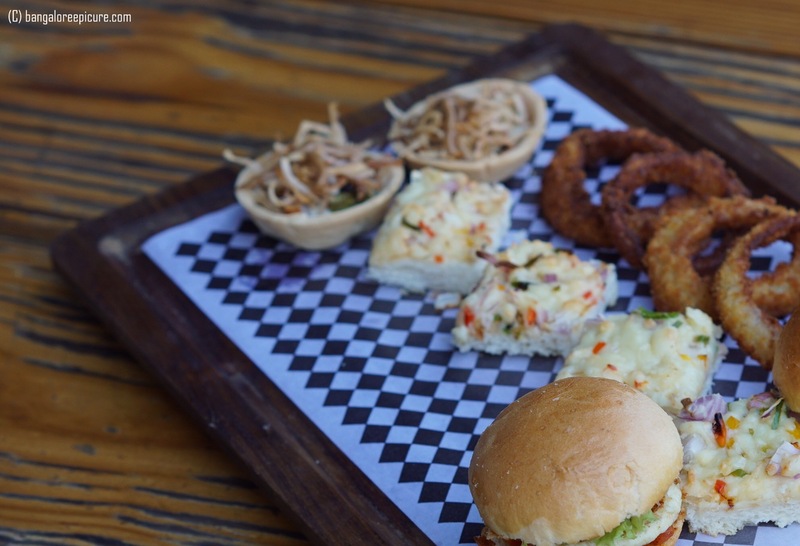 The Veg platter had TWA Chili Cheese toast, Suzzie’s Bangles (crispy crumb fried onion rings with tomato mustard relish and garlic mayo), Goat Cheese & caramelized onion tartlets with a creamy balsamic dressing, spicy Cottage Cheese Butty (sliders)! I loved every dish in the platter and yes, presented beautifully. 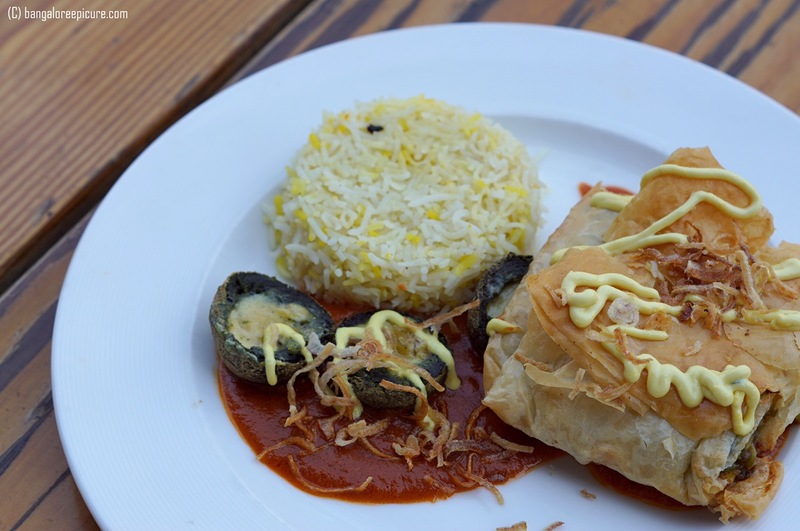 In Main Course, I have tried Spinach, Cheese and Potato dumplings in spinach puree and tomato gravy served with saffron rice and Green Pea and corn filo parcel. It’s a beautiful combo of cheese, sauce and rice along with dumplings which tasted delightful with well-balanced essences. 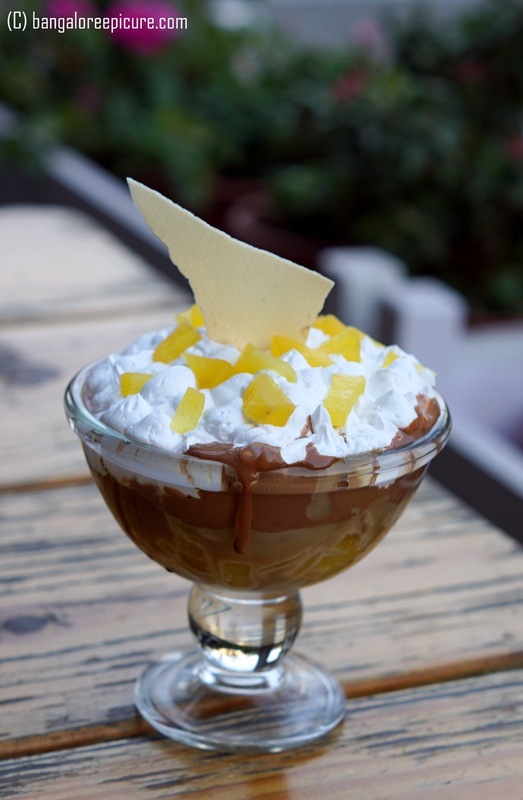 In Desserts, we tried Saffron Poached Pear Crumble Sundae, Banana Split Sundae, Crème Brulee and Bavarian Cheese Cake! 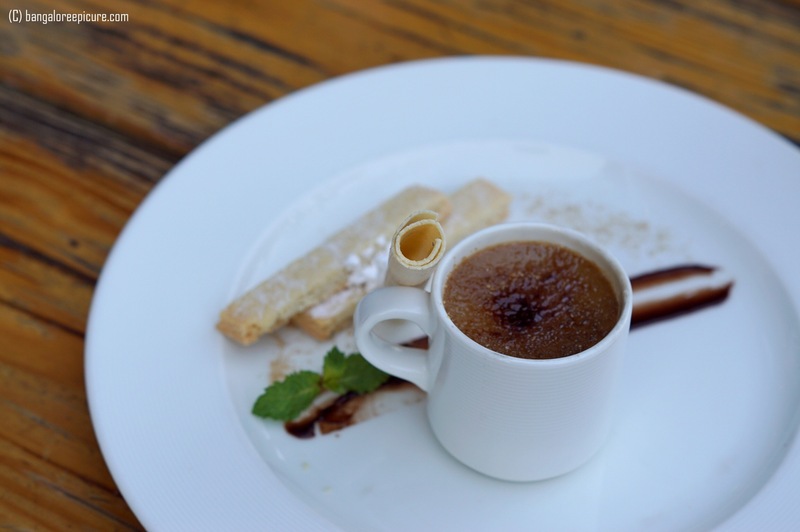 Out of all 4, I loved Crème Brulee much! 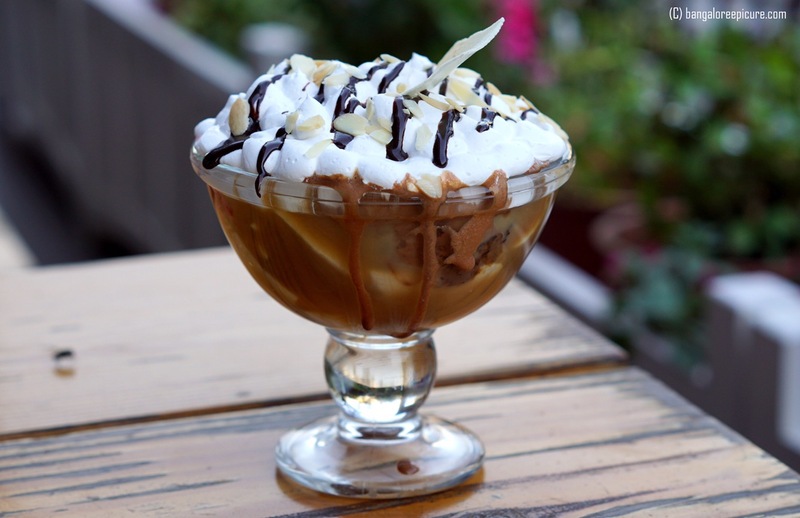 Please note, the Sundae’s over here are quite heavy and apt for 2 to 3 people. 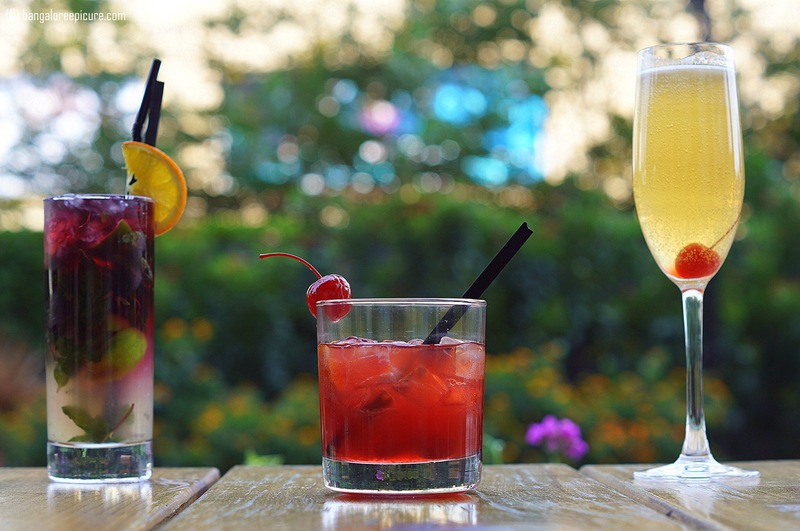 Also, don’t miss to try their Signature Cocktails ‘Mountbatten’ ‘Air Mail’ and ‘Colonial’ – We loved these cocktails too! The options are very less for Vegetarians and they will be soon introducing few more as part of new menu. Overall, it was a great experience and thanks to “The Whitefield Arms” team for having us! Note: This write-up is completely based on my experience and not influenced by anyone though it was an invite & complimentary meal. Address: The Waverly Hotels, VR Mall, Whitefield, Bangalore. Next Post Berrylicious made our afternoon even delicious!